Known throughout the world for its energy, creativity and integrity of interpretation, the Sacconi Quartet continues to perform with its four founder members. The Quartet performs regularly at London's major venues and across Europe, and each May hosts the Sacconi Chamber Music Festival in Folkestone. You can see some reviews of their concerts here. You can also hear them here. 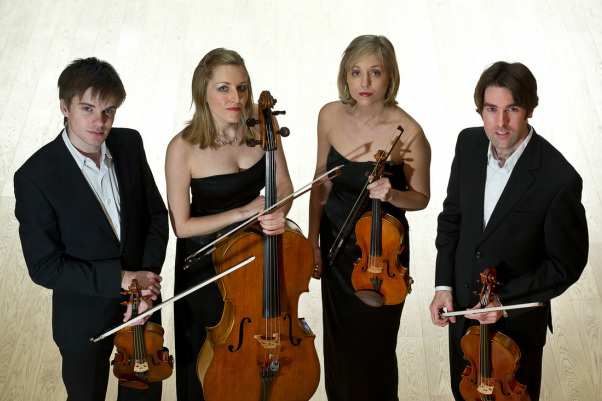 The Sacconi Quartet were on BBC Radio 3's In Tune programme on 17th July 2013. If you would like to get a more detailed understanding of some of the pieces before the concert there is a Gresham College lecture on the Haydn String Quartet which you can listen to here and there was a BBC discovering music programme on the Beethoven String Quartet which you can listen to here.